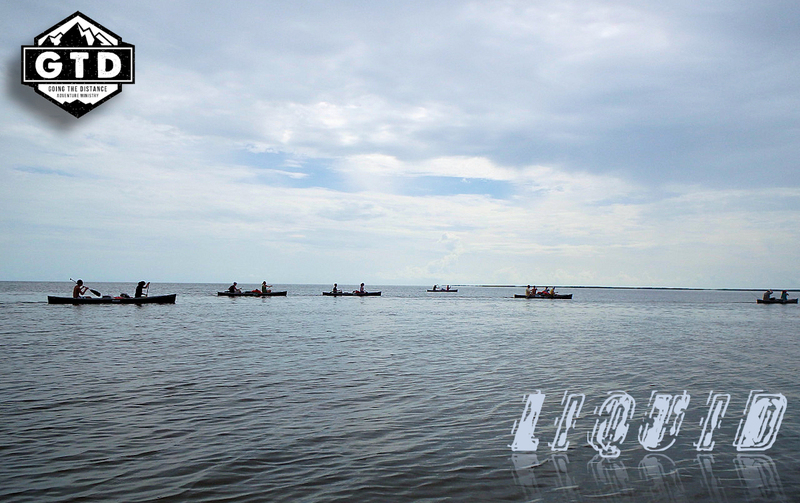 FREE LIQUID CANOE TRIP!! GTD EVENT ROLL-OUT!! And the hits just keep on coming! In celebration of our 20 Year Anniversary, GTD is excited to invite you to our annual LIQUID Canoeing Day Trip for FREE!! And LUNCH is INCLUDED!! LIQUID is scheduled for Saturday April 30, 2016 at Weedon Island in St Petersburg, FL. We will be providing 2 separate canoeing sessions with spots for 20-30 paddlers per session. We will be providing a free lunch, a Christ-centered devotion, a squishee ball war, and a canoe race. It's always a fun & beautiful time! To reserve your spot and to read more details click on this link. LET'S GET STRAIGHT TO THE POINT - Happy Easter from all of us! We enjoyed a wonderful Easter by going to 2 church services. 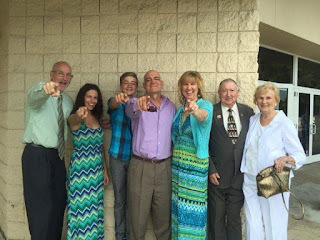 One with our awesome Pathway's Community Church family in Largo and the second with my incredible immediate family at the great Calvary Chapel Church in Pinellas Park. It was such a nice day! We have so much to celebrate because of an empty tomb and a risen Savior. Thank You Jesus!! 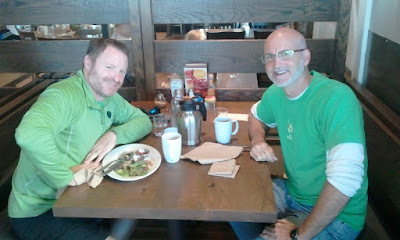 Breakfast ADVENTURES with Paul Williamson​! I enjoyed getting caught up with my fellow Christian adventure buddy at the new First Watch in Clearwater. 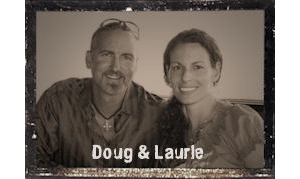 Paul is the Director of Soul Adventures​ based out of Skycrest Community Church in Clearwater, FL. I love this guy's enthusiasm and zeal for life! If you are looking for a great Christ-centered adventure ministry for your youth (summer camps, etc) in the Tampa Bay area then check out their website... you'll LOVE it!! Vacation Over - Back To Work! 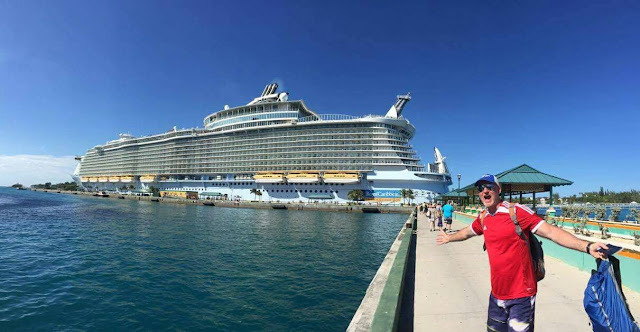 It was a rare 10 day vacation in the spring time that included cruising on the "Oasis Of The Sea" - the largest cruise ship in the world! The Oasis can hold over 6000 passengers, has 21 swimming pools, 2 climbing walls, 2 surfing flowriders, an ice skating rink, a basketball court, a zipline, and so so so much more! It's 5 times larger than the Titanic, and I'm happy to say that this ship didn't come close to sinking! The cruise included stops in the Bahamas and Jamaica. The entire ship was chartered by Beachbody (makers of P90X, Shakeology, etc). Laurie is a Beachbody Coach and earned points towards the cruise and purchased an extra ticket last year that I ended up benefiting from. It was a wonderful time and the batteries are recharged... praise God! Yesterday was the first day back to work. We are looking forward to a God-awesome spring! Savoring a God-awesome IGNITE Retreat with nearly 60 outstanding kids, teenagers, parents, young adults, prime-aged adults, and even grandparents. 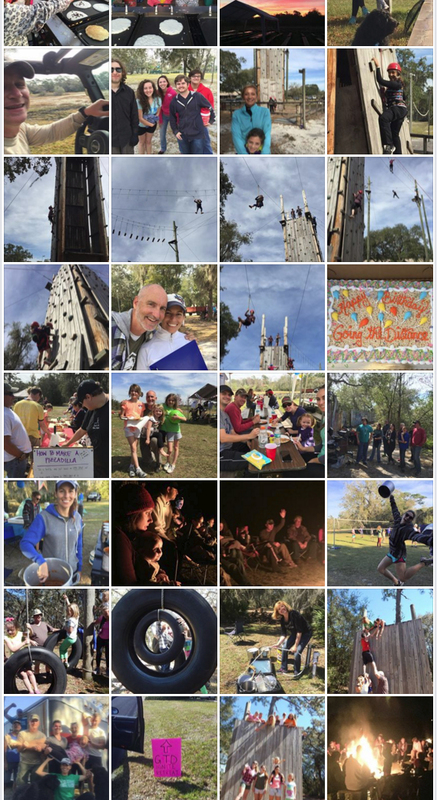 This multi-generational family-friendly camping trip was jam packed full of fun, laughter, great food, friendship building, worship, Christ-centered devotions, a pancake food fight, and all sorts of adventures. It ended up feeling more like the ultimate family reunion! I want to profoundly thank our amazing staff, volunteers, and participants for helping make this such a special and memorable retreat. A lot of hard work went into this weekend and I was blessed to have so many hard working and dedicated people share in the labor of camp set-up, break-down, and everything in-between. Camping is primitive living and it is hard work, but it is fruitful work. The greatest part is that those who share in the sacrifice also share in the blessing! To see all 655 pictures from our IGNITE Retreat click here. 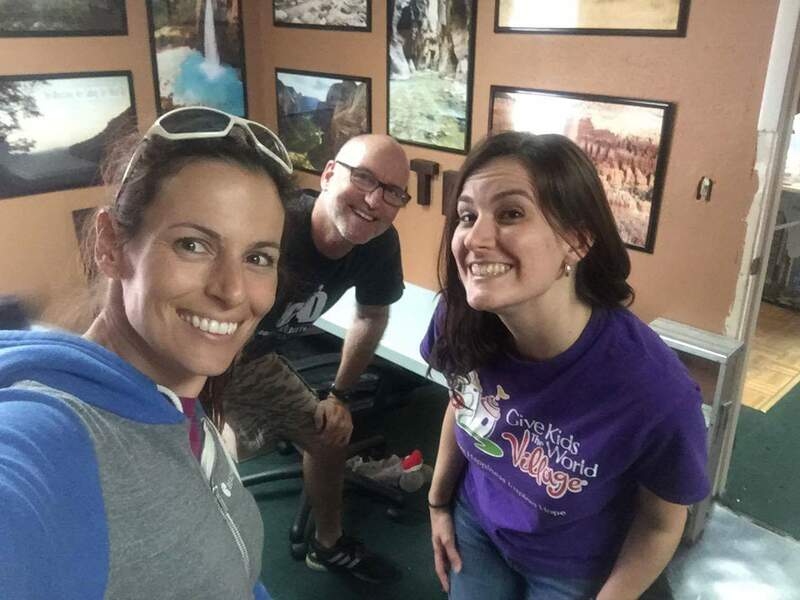 WE are preparing for our biggest event EVER over here at GTD...we have about 80 people signed up for our annual camping trip this weekend and we are so excited to welcome all our friends and family on this trip! It's going to be GOD-AWESOME! 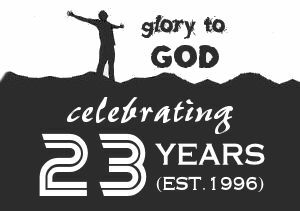 Here is to 20 years of ministry for GTD (Going The Distance Adventure Ministry)! We loved our meeting today with our friend, David Brownlee, who is the Area Director for Mission Increase Foundation (MIF). Running a non-profit organization has very unique challenges that require specialized decision making. 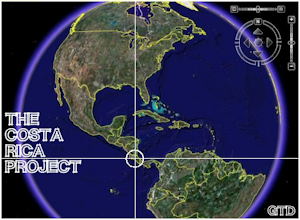 MIF partners with Christian non-profit organizations (like GTD) to train each ministry so we have new sustainable fundraising and leadership skills to fulfill our vision. 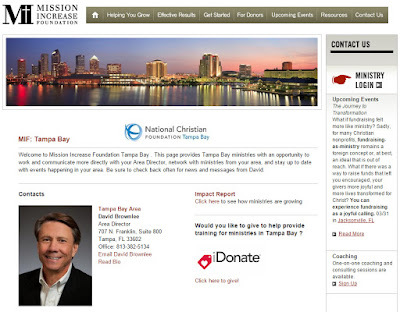 Their mission is to help ministries fulfill our mission. MIF is an absolutely fantastic organization, and David is an incredible blessing to us and countless ministries in the Tampa Bay area. GTD has a HUGE vision for the next 20 years of ministry, and MIF is helping supply specialized training to equip us for the journey ahead. We look forward to the future as we walk shoulder-to-shoulder with experts like David Brownlee focused on using our time, talents, and treasures in ministry for the purpose of advancing God's Kingdom!